Home security cameras have improved in the last decade. 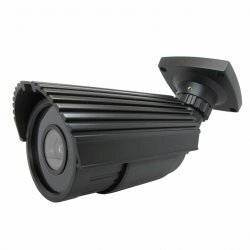 You can choose to monitor your home with modern night vision security cameras. Some of these cameras create images even when there is no light. Protecting your family and home is a top priority. Home security systems cost less than they did in previous years. Night vision technology is delivered using one of three methods, low-light, thermal imaging and infrared illumination. Low-light imaging cameras work by using image intensifiers. The intensifiers enlarge the available light to produce an amplified image. This is achieved when the object of light focuses on the photocathode of an image intensifier. The electrons hit a phosphor screen and the image is created. Intensified camera systems use intensifiers to create a clear image during low-light situations. This allows the broader image of the low-light scene to be viewed. These cameras need some light available to produce an image. However, during low-light scenes, the image they produce is excellent. Low-light cameras have the ability to identify people. These cameras are a popular choice for homeowners because they are affordable. Thermal imaging technology works by operating on the principle that objects radiate infrared energy because of its temperature. This type of security camera doesn’t require light to produce an image. The higher the temperature of the object, the more infrared energy is emitted. The thermal image is created by the infrared energy. Thermal images produce black images when objects are cold and white when they are hot. You can find some thermal cameras that project images in color. Thermal imaging cameras offer a high level of thermal sensitivity. These cameras are able to detect objects at a great distance. They are not dependent on light sources. Infrared illumination combines with motion detection technology to create an effective home security camera. When the camera detects movement, the infrared illumination lights up the scene and captures the images. These cameras can display detailed images such as numbers, lettering and objects. Infrared illumination cameras are inexpensive and don’t rely on ambient light to capture images. Combined with motion detectors, they do an excellent job of monitoring the perimeter of your home. Infrared illumination works with multiple LED lights to transmit images in black and white. Black and white produces a better quality image. Home security is a real concern and there are steps you can take to enhance the security of your home. Create a home security plan with your family. Determine how much of your property you want monitored. Home security cameras can easily accommodate multiple cameras to provide the highest level of protection. When an intruder sees surveillance equipment, they are usually not willing to take the risk of it being monitored by local law enforcement. They provide a record for the police and your insurance company. Talk to a professional home security company to find the best cameras that will work with your budget. The garage is a favorite entry point for intruders. The reason is because once they are inside, they are free to use tools from the garage to break into your home. The door that leads from the garage into your home is usually a hollow door. This makes it easy for the intruder to kick in the door to gain entry. They can also use your tools found in the garage to pry the door open. Hidden inside the garage, the neighbors won’t be able to see them. A lot of people like to keep their garage door open when they are at home. But, this allows a potential intruder to view the contents of your garage. Always keep the garage door closed even when you are at home. If you have windows in your garage door, consider installing reinforced glass. This will make it harder for an intruder to break in through the garage. Another reason intruders are attracted to your garage is because it likely contains things like expensive sporting equipment, bicycles and valuable tools. Keep the door that leads from the garage into your home locked at all times. It is best to install deadbolt locks and sturdy doors on all entry ways into your home. Be sure to upgrade your garage door opener to one that has rolling code technology. This technology changes your code each time you operate the remote. This will prevent intruders from being able to steal your code with a scanner to open your garage door. Have the tools, golf clubs and other equipment marked to prevent an intruder from being able to sell the items. If you have your driver’s license number engraved on the items, then law enforcement can contact you if they recover your items. When you are away on a vacation or long business trip, consider padlocking the latch located on the inside of the garage door. It’s all of the little things that you do to secure your home that adds up to home security. There are three things that an intruder doesn’t want standing in the way when they want to break into a home. They don’t want it to take a lot of time, effort or make a lot of noise. Everything you do to prolong entry into your home will improve your risk of home intrusion. No home is completely safe from home intrusion, but there are steps you can take to make your home more secure. Never leave a spare key anywhere near the entry ways into your home. This habit has long been discovered by intruders everywhere. It is best to use the new fingerprint technology locks that are available. You can also leave a spare key with a trusted neighbor. Find out if your community has a local neighborhood watch organization. If there isn’t one, consider starting one yourself. The typical intruder will park away from your home and walk. If neighbors join together and watch for suspicious activity, and call the police, then there can be a reduction in crime in your neighborhood. Some law enforcement agencies offer crime reduction seminars that teach you how to better protect your home from intruders. Hide your valuables like jewelry and cash somewhere besides the master bedroom. The master bedroom is the first room that is targeted by an intruder. They know this is where most people keep their jewelry and cash. The kitchen is the least visited area by the intruder. Consider buying a safe that will blend into the other items in the kitchen. There are retail stores online that sell safes that look like everyday items. You can also keep them in a safe deposit box at your bank. Mark the electronics with your driver’s license number. Guns should be safely locked away in a gun cabinet. Guns can be sold in the black market and is a popular item intruders target. If you have a security system installed in your home, don’t forget to turn it on. You would be surprised to know how many people simply don’t turn on their security alarms. Sometimes they think it is too much trouble because there are so many family members coming and going. Talk to everyone in your family, and be sure they know the importance of using the alarm system. It is especially important that family members turn the alarm system on even when they are at home. Sometimes intruders will enter a home not knowing that someone is there. Intruders typically aren’t expecting violence, but if you surprise one, then you don’t know what might happen. Improving the security in your home is about thinking like an intruder. See your home as an intruder would. How easy do you think it would be for someone to break into your home? Make a list of things you can do to improve the security. This might include things like quality doors made out of sturdy materials, improving the locks on the doors and reinforcing doors and windows. You will be surprised at how inexpensive it is to improve the security of your home. Door and window alarms are not expensive, especially if you consider the items you will lose if someone breaks into your home. Door and window alarms are designed to make an audible sound if triggered. Driveway alarms are useful to monitor the driveway. Motion detectors that light up at night are a good way to improve security. Keeping the outdoors of your home well-lit can deter crime. Intruders are creatures of opportunity. They are looking for the opportunity to hide in the cover of darkness. Don’t let your home be an easy target. Keep your curtains and draperies closed to prevent other people from viewing the contents inside of your home. These tips are meant to make you aware of home security and not to frighten you. The realty of the matter is home invasion and intrusion happens. Taking mindful steps to improve your home’s security will reduce your risk. The doors that lead into your home should be made out of wood, fiberglass or steel. That’s because an intruder will first try to kick in the door. Combined with a good locking system and deadbolt locks will improve your home’s security. Install deadbolt locks that reach into the door’s frame. The door won’t be able to be kicked in as easily. Buy the best locks for your doors and windows that you can afford. These are the entry ways for an intruder. Sliding glass doors can be lifted off their tracks. Be sure your sliding glass door is securely mounted and can’t be lifted off the track. The inside track of the sliding glass door needs to be reinforced with a wooden dowel. This will prevent an intruder from picking the lock and opening the door. If you have two story home, then make sure the windows and doors are always locked. Many people think these aren’t accessible, but all it takes is a ladder for an intruder to climb to the second story. Install audible alarms on all of the doors and windows. Sensors will pick up the sound of glass breakage or detect movement. Place home security decals on your doors and windows to warn intruders of the presence of a security system. If you have a dog that stays inside, that is a good thing. Loud, barking dogs can deter criminals. Put a beware of dog sign on your windows and fence, even if you have a small dog. One thing most intruders don’t want to confront is a loud, barking dog. Aggressive breeds should be avoided because of possible liability issues if they get out into the neighborhood. There are ways to improve your home security just by improving the outdoor landscaping. Shrubs and other greenery that surrounds your home’s doors and windows need to be kept well-manicured. Overgrown shrubs make it easy for an intruder to hide in them. Trees with branches located close to your home should be pruned. Keep your lawn mowed especially when you are on vacation. Hire a professional lawn service when you are out of town to cut the grass. Keep ladders out of your yard and secured safely in the garage or storage shed. Plant thorny bushes near the windows of your home. Ask your local nursery to recommend thorny plant varieties that fit into a home security plan. Private fences should be secured with heavy-duty padlocks. Landscape lighting will improve the security of your home. Install solar lights to avoid paying more money for your energy use. Solar lights are inexpensive and cost nothing to operate. Home security involves planning and being aware of potential weaknesses in your home. Have a family meeting and involve every member of the family in the planning of a new security system. When you make it difficult for an intruder to break into your home, they will likely move on to another home.